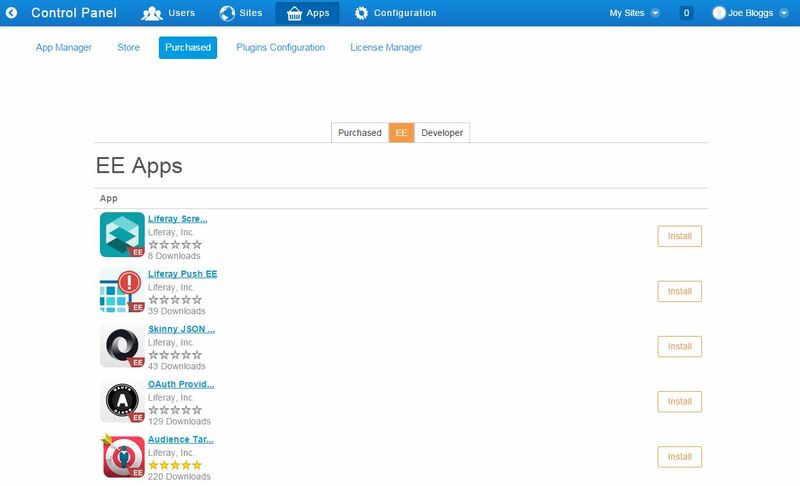 Liferay marketplace is great tool, you can sell your app, download free apps or purchase EE apps. There are also many great free EE apps. You can download CE apps using your browser. 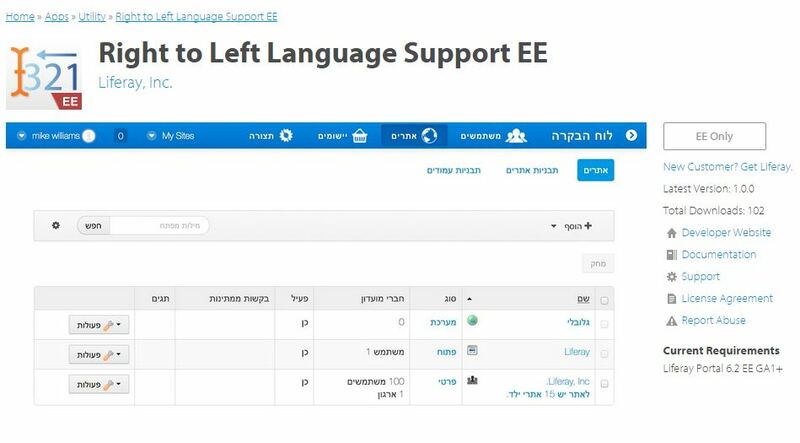 But when you search EE apps in browser, you see EE Only button and there is a message that it Available to EE subscribers. Find out how to get a subscription. Many developers don't know how to download free EE plugin so I thought I should write a blog about it. Prerequisites: EE portal, valid EE License, Admin credentials of you portal, Liferay.com credentials. For free EE plugins, you need to login with admin credentials in your portal. Click on Control Panel. Now go to Purchased menu in App section. It will ask you to login on Liferay Market place, use you Liferay.com credentials. After login it may ask for update your marketplace app. So update it first. Now you will see two or three tabs, click on EE tab. It will show all free EE plugins. You can install plugin from there. # time specified by that number in milliseconds seconds. Note: This feature is intended for development, not for production.